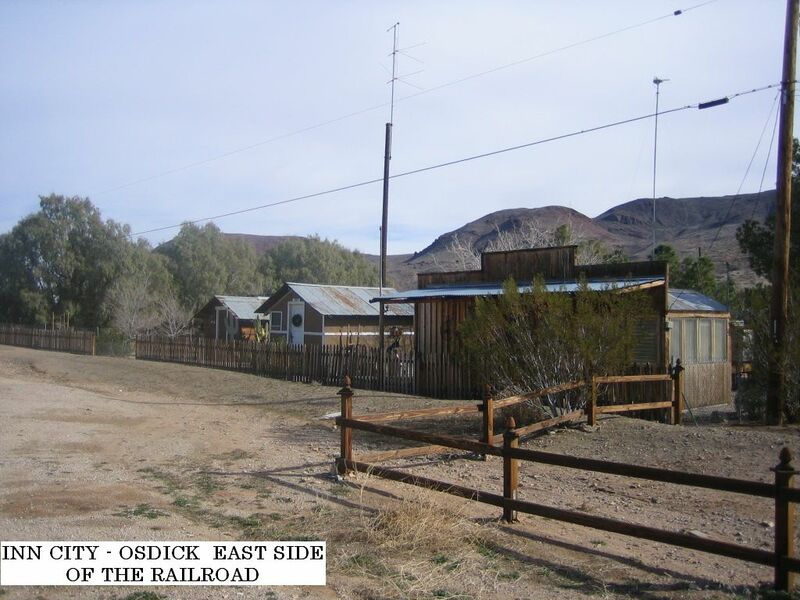 Before ink dried on the 18th Amendment, saloons and brothels lined the Ransburg Railroad track on both sides of the Osdick Siding. The law that prohibited the sale of alcohol didn’t apply to Red Mountain because that settlement was located in San Bernardino County and the sheriff had better things to do than drive one-hundred miles on dirt-poor desert roads to enforce such matters. Red Mountain started as a mining camp after the discovery of a rich silver ledge located below the town of Ransburg. Wade Hampton Williams, lucky owner of the mine, wanted his employees to live near the workings. To that purpose, he surveyed and plotted a townsite and named it Hampton. 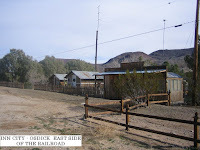 Within a few months, relocated cabins brought in from abandoned mining camps began appearing along narrow trails around the mine and commercial buildings, hotels, taverns, stores and the all important barbershops with bathing privileges could be found along the main street through town. Those unfortunates who put their dwellings on lots donated by a local developer found that they held only squatters rights to their land. 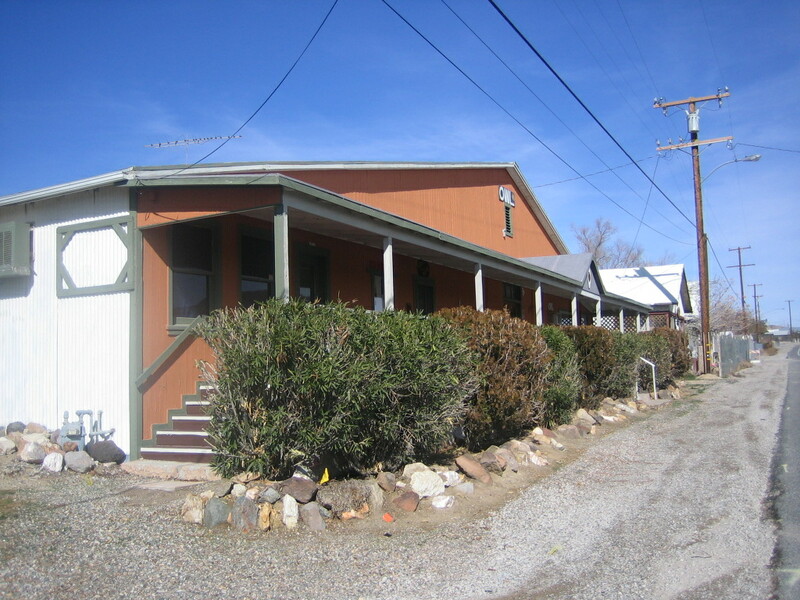 Inn City had not been surveyed and, unfortunately, the lots were located on mining claims and public property owned by the federal government. It would take many years for the owners to get clear title to their property. On weekends men came from Johannesburg, Randsburg, Fremont, Kramer Hills, Garlock, Saltdale, Searles Station, Summit Diggings and Trona. A few hardened party types drove or took the train up from Los Angeles. Red Mountain was known as an open town where you could spend all your money without regret. Most would agree that the women were good looking and friendly. You could find them at The Annex, Little Eva’s, the Red Onion, the Shamrock, the Silver Dollar and at most saloons. The better places had dance floors with live music on Saturday nights. Drinking and gambling went on both day and night at every place in town except the post office. Many of the permanent citizens of Red Mountain had been “pushed” out of other communities by the local deputy sheriff or constable. Better to send them packing than keep them in jail. 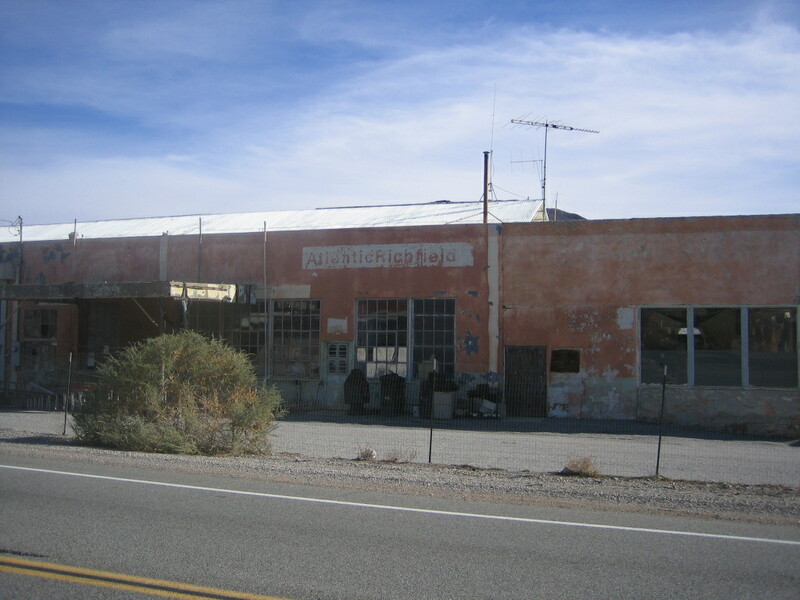 In Randsburg, the justice-of-the-peace warned members of one vile and troublesome gang that if they returned to Randsburg they could become the subject of a hanging. Crime could be expected: mostly bar fights, harmless shootings, muggings, assault with intent, and a few murders. One story made it all the way to Bakersfield. “The Music stopped; games and fun came to a sudden halt at the famous Monkey House as three masked men entered and efficiently relieved patrons of their valuables. One of the bandits flashed his gun and told the clerk at the door to ‘stick em up’’. 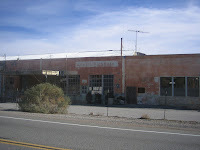 By 1925, the law could not longer ignore the wide use of alcohol in desert communities. In response, three adjacent counties Los Angeles, Kern and San Bernardino, set traps to catch as many lawbreakers as possible. The raiding parties gathered secretly and prepared to hit the towns of Mojave, Randsburg, Tehachapi and Red Mountain on the same Saturday night. The parties included deputy sheriffs, federal agents, district attorneys and a judge from each county. Officers arrived well before midnight at three establishments in Red Mountain. Justice Hansdbrough of the San Bernardino County Court presided while sitting at a poker table at the Owl Café. Most of the accused pleaded guilty and were fined. The judge listened patiently to the stories of those who pleaded innocent and charged them as well. The fines averaged $150.00 and were paid in cash which hopefully found its way into county coffers. The Kelly Mine also known as Rand’s Big Silver took position over a network of underground workings which included 5,000 feet of side drifts and crosscuts on five different levels. These workings were accessed from four shafts over 500 feet in depth. Ore brought to the surface was taken by rail to silver processing facilities elsewhere. The work force may have reached one hundred miners during good years. Some of the men took part as extras in movie films that were being shot at the mine. The Red Mountain communities provided the setting for a number of westerns made during the 1920s. The mine closed in 1929. Red Mountain survived the depression years and the repeal of prohibition. And, was well position to do its patriotic duty during World War II. Young men from military units at China Lake Navel Base and Murdoc Air Field (later renamed Edward AFB) partied on weekends at hotels and some of the better maintained taverns where the girls were still considered good looking and friendly. 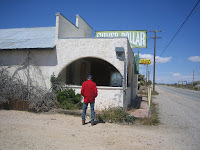 I took a picture of my friend as he searched the south side of the Silver Dollar Hotel for the entrance that he remembered from a visit he and his father made here over seventy years ago.